If there is a ground zero for the nation’s foreclosure crisis last month, South Florida is it. Palm Beach, Broward and Miami-Dade counties were ranked the highest metro region in the nation for foreclosure activity in February, while the state as a whole took the top spot for the sixth consecutive month. With one in every 282 homes receiving a foreclosure notice last month, Florida’s foreclosure rate was more than three times the national average, according to a report from the market research firm RealtyTrac. The report, released today, measures three types of filings — initial notices of foreclosure, notices of a foreclosure sale, and final bank repossession. In Florida, the number of homeowners falling into foreclosure for the first time was up 13 percent from the same time in 2012 and up 16 percent from January. Bank repossessions were down statewide by 10 percent from the previous year and 11 percent from January. Boca Raton-based foreclosure defense attorney Margery Golant said South Florida courts have enacted new rules to push through aging foreclosure cases, which would show up in increasing sale notices and bank repossessions. In Palm Beach and Miami-Dade counties, block groups of trials are being set by the court, compelling both sides to the hearing unless given more time by a judge. Florida has 366,250 pending foreclosure cases in the courts and expects 680,000 more to be filed in the next three years, said Lisa Goodner, state courts administrator. The campaign to increase the processing speed is evident in Miami-Dade County’s February foreclosure filings. RealtyTrac shows just 915 notices of foreclosure sale filed in February 2012. That skyrocketed to 3,109 notices last month. Miami-Dade started setting the block trials in the fall. Palm Beach County just issued its administrative order last month. Despite the processing push, suburban Lake Worth resident Aubrey Thomas was able to get his 2009 foreclosure delayed. The 70-year-old, whose house was scheduled to be sold at auction on Monday, recently found a full-time job in housekeeping with the Department of Veterans Affairs. He now is hoping to get a loan modification that will allow him to keep his home. “The bank has tried to work with me, but on only a social security income, it was tough,” said Thomas, who got into trouble after refinancing during the real estate boom and then losing his job during the recession. Golant said lenders have been motivated to approve more short sales and loan modifications following the $25 billion nationwide settlement for foreclosure-related abuses. The settlement, between 49 attorneys general and Bank of America, Ally Financial, Citimortgage, JPMorgan Chase and Wells Fargo requires them to provide mortgage relief to borrowers. But the settlement also includes guidelines for proper foreclosure proceedings, which Golant said is giving banks more confidence to file to repossess a home. Still, the total number of Florida homes with foreclosure filings last month — 31,726 — is below what was seen right after the real estate crash. 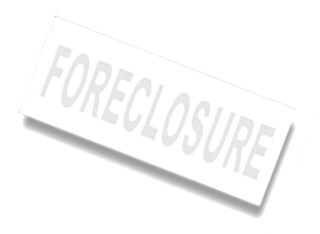 In February 2009, 46,391 homes received a foreclosure filing. That grew to 54,032 in February 2010.